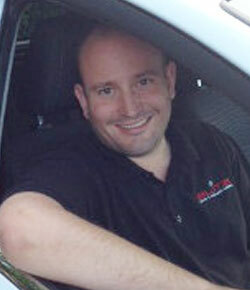 Ian is the founder director of ELITE, and also a grade A Approved Driving Instructor, and ORDIT instructor trainer. Click to see Ian's full profile. Eloise is our customer service and office manager. She is also Ian's wife, so has a vast knowledge of the industry, as well as having a customer service background, so customer satisfaction and service is her forte. Due to our excellent reputation, ELITE Driving School has expanded rapidly since being established in 2007 by two experienced Approved Driving Instructors. With their wealth of knowledge and over 30 years of experience within local and national driving schools as instructors and instructor trainers, their prime objective was to establish a driving school that stood out from the rest for quality, value and service. 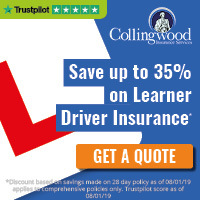 In a relatively short period of time we have grown to a fantastic team of over 18 instructors, providing both manual and automatic driving lessons, and cover a vast area across South London, Surrey and Middlesex. All driving instructors are CRB checked and registered with the DSA (Driving Standards Agency). However, our network of instructors are carefully selected, vetted, and undergo vigorous in-house training and development from our ORDIT registered trainers to ensure they provide nothing but the highest standard of tuition for our customers. Consequently, much of our new business comes from referrals from existing satisfied customers. Our instructors are all enthusiastic and patient, take pride in their work, and care about their pupils' success. As a result, most pupils pass their test in far fewer lessons than average. This will ultimately save you money in comparison to cheaper instructors that don't get repeat business from word of mouth. We are also members of the Driving Instructors Association (DIA). We regularly offer special introductory rates to welcome new pupils to our school. However, your lesson price will not rocket after this, as we also offer standard discount rates for block purchases throughout the course of your lessons. We believe that once you have experienced a lesson with one of our instructors you will feel comfortable, confident, informed and relaxed, and happy for us to assist you through the entire process leading up to your test, and even beyond with Pass Plus.